This is the story of Ailyn Encarnacion Limbaro, 21 years old from Brgy. Goodyear, Kabasalan, Zamboanga Sibugay Province. She is the daughter of a Rubber Kapatas in GARBEMCO, and she aspires of becoming a teacher. Ailyn is the youngest in a brood of three. In her spare time, she would ask her siblings to participate in her role-playing as teacher. She would review lessons with her older siblings, help them with their homework as if she is fulfilling her dream. However, becoming a teacher may not be a reality for Ailyn, much more her chances of getting a college degree to become one. Her father, being the breadwinner of the family, juggles the budgeting of the meager income he gets from his work in the plantation and making sure that the family obtains basic needs and eats three times a day before anything else. He makes the sacrifice of waking up at 5:00 in the morning to start the day. As the saying goes the "struggle is real" but this did not dampen the spirit of Ailyn for she had it in her the desire to achieve her aspiration, unfazed by difficulties. She refuses to accept that there is no hope to fulfilling her dream. 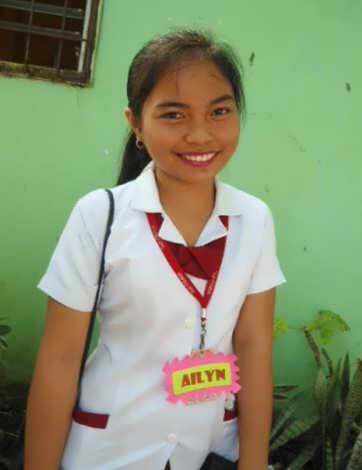 Ailyn is a diligent girl and went out to find ways to support her schooling. In 2013, fate had it that she heard of the news that GARBEMCO is employing students for summer job. She did not waste much time and immediately verified the information at the GARBEMCO office and later on found out it was the program of the Department of Labor and Employment (DOLE) called SPES or Special Program for the Employment of Students. This sparked her interest and immediately inquired about the requirements. "What I heard, GARBEMCO was looking for workers for summer job, so I went to their office and applied, I did not want just to stay home and do nothing during summer. I approached the secretary and asked for the requirements." Ailyn said. Ailyn made the cut and started working under the miscellaneous department. For 30 days work at 255 pesos per day, the salary Aileen got went straight to her school needs and the little extra she shared with the family. "The salary I earned helped me with my expenses at school." Ailyn shared. SPES is one of the banner programs of the Department of Labor and Employment. Its main mandate is to employ poor but deserving students and the salary they earn will serve as augmentation to their school expenses. In its long-standing existence, SPES has been implemented by various institutions both private and government. Among the successful implementers of the program in Zamboanga Sibugay Province is Goodyear Agrarian Reform Multi-Purpose Cooperative or GARBEMCO. GARBEMCO is a rubber cooperative that employs more than 300 workers deployed in its various divisions but most of the workers are assigned in the rubber plantation as tappers and the like. Prior to the creation of the PESO Office in the cooperative, GARBEMCO is being fazed by a tremendous hurdle as the rubber prices plummeted to its lowest in the world market and has affected the business thereby affecting the workers, the beneficiaries and their families. Creating the PESO Office was an idea that can offer solution to their dire problem. PESO GARBEMCO started to implement the programs of DOLE benefitting the workers and beneficiaries within the cooperative and one those programs was SPES. PESO GARBEMCO did not need to go far to find the deserving beneficiaries of SPES because within the walls of the cooperative where the children of rubber plantation workers greatly affected by the crisis like Ailyn. Ailyn did her part as an employee. She showed GARBEMCO her determination to do her work well and after the summer job, she made sure she continued to excel in her studies. PESO GARBEMCO dedicated a significant number of slots for continuing SPES beneficiaries most especially for those who have been doing well in their school work. "I worked for 3 consecutive summers under the SPES program." Ailyn related. The 3 summers Aileen worked was her ticket finishing her college degree. 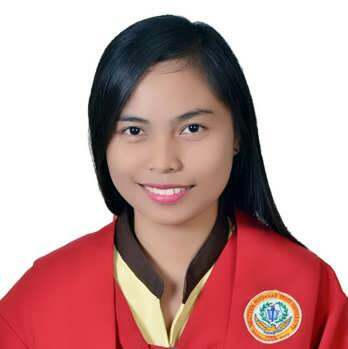 She took up Bachelor of Science in Education Major in Filipino at Western Mindanao State University-External Unit Studies in Ipil, Zamboanga Sibugay and graduated last April 2016. Up to this day, as Aileen would look back, no amount of words can express her gratitude to GARBEMCO and its PESO manager in the person of Lilia Manuel, General Manager. Ailyn is now a professional teacher after passing the Licensure Examination for Teachers last November 2016. "It is my wish that GARBEMCO will continue implementing this SPES Program because like me, it can help many students in finishing their studies." No matter how difficult the situation is as long as one is determined to reach their ultimate dream, nothing will stop them from doing so. Being diligent, hardworking and focused will take a person to greater heights.